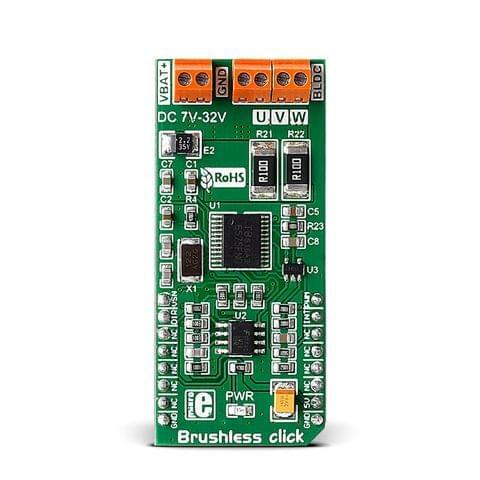 click is an intelligent proximity and light sensing device, which features the VCNL4200 sensor from Vishay - high sensitivity long distance proximity sensor (PS), ambient light sensor (ALS) and 940 nm IRED, all in one small package. 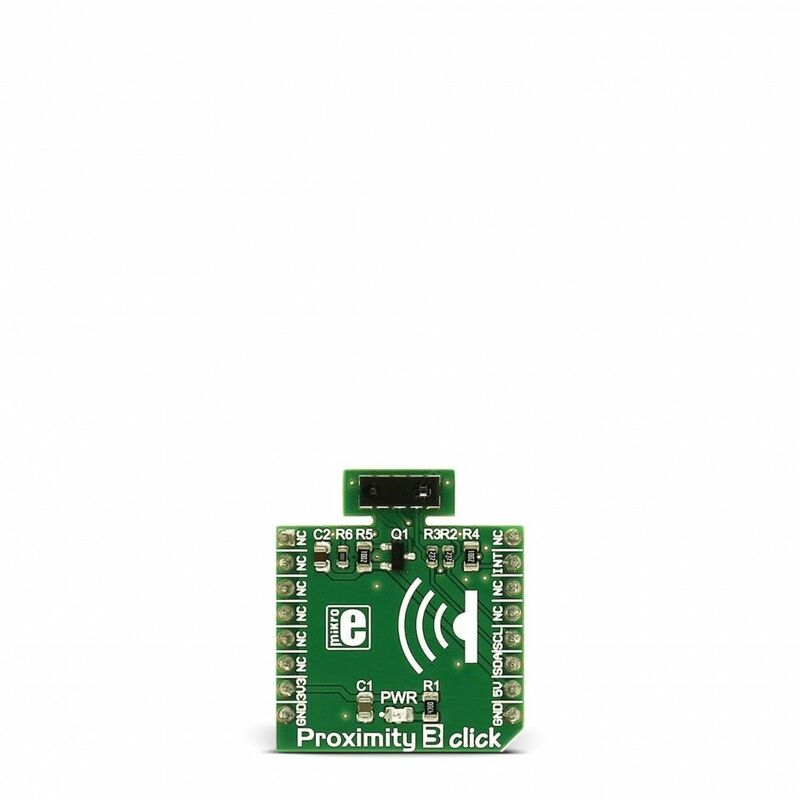 With its smart sensing and light conditioning properties, the Proximity 3 click can be used in a wide range of applications: adjusting the brightness of the TFT screen depending on ambient light, turning off the TFT background light if it is covered, very accurate lux meters, reliable security sensors and so on. 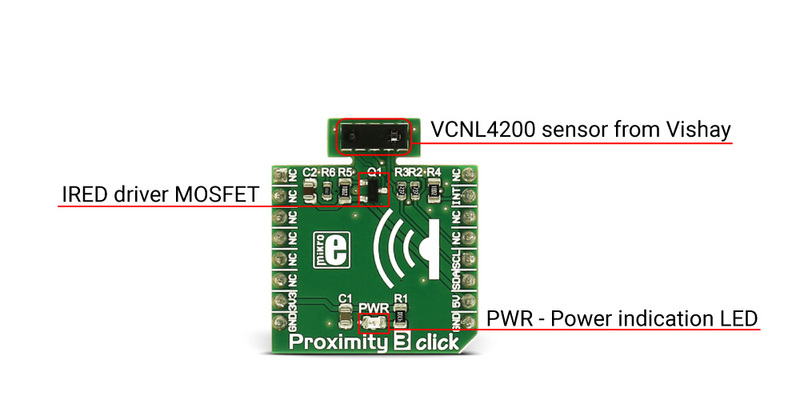 Proximity 3 click uses the VCNL4200 sensor, which combines matched 940 nm IR emitter and a photodiode for proximity measurement and ambient light sensing. 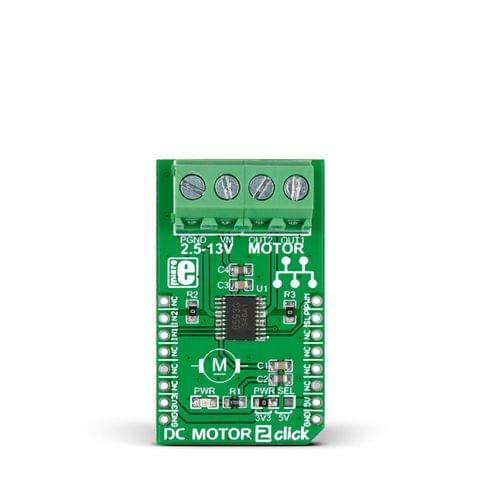 VCNL4200 offers programmable measurement by utilizing the advanced signal processing techniques, allowing the sensor to operate in various conditions. 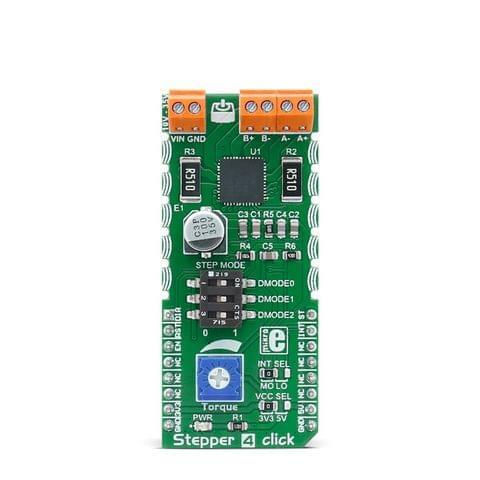 Communication with the microcontroller is done via the I2C interface so that the host controller can set the measurement parameters and request results back from the sensor. 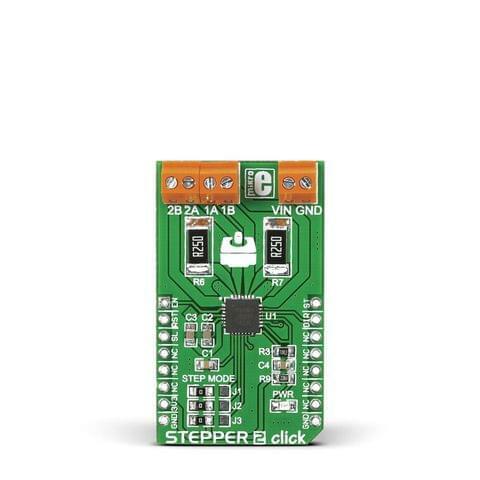 Both low and high threshold values for the measured property can also be set via the I2C so that the interrupts can be generated every time the threshold value is exceeded. 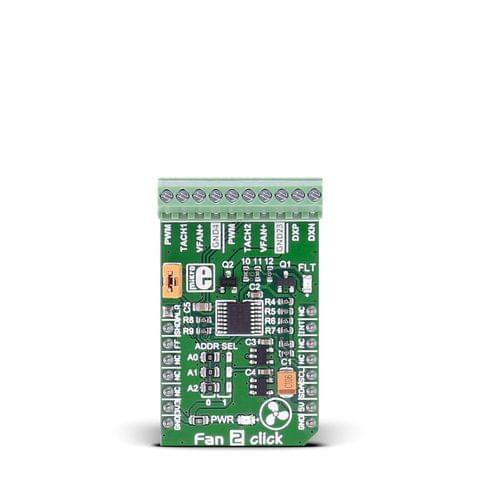 This allows for the reduced need of the sensor polling, which can result in better power management. 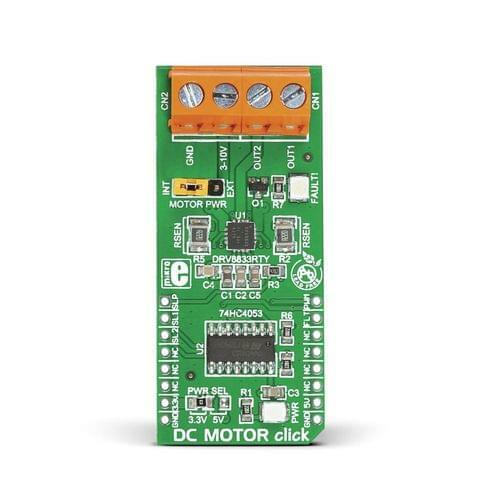 With MikroElektronika library functions, setting up the registers is really easy and the tedious task of initializing the sensor is taken care of with a few simple function calls. 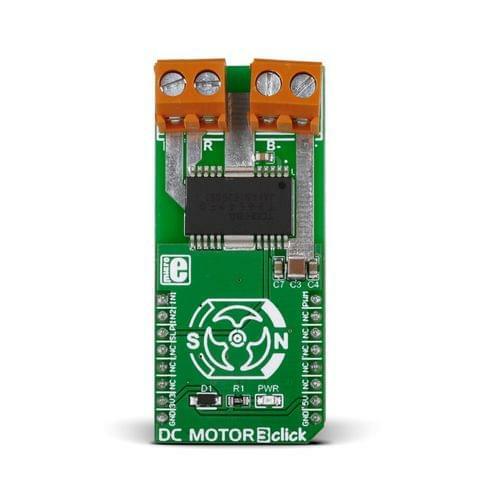 More information about the sensor's registers and addresses can be found in the VCNL4200 datasheet. The Filtron™ technology used in the ALS, allows the sensor to match the ambient light spectral sensitivity to human eye response and it's immune to fluorescent light flicker. This ensures the accuracy of the measurements. The maximum detection range is selectable (197 / 393 / 786 / 1573 lux) with highest sensitivity 0.003 lux / step. The proximity sensor uses advanced ambient and background light cancellation schemes, so it is fairly immune to interferences that might occur in this case. This allows for a quite precise proximity detection. 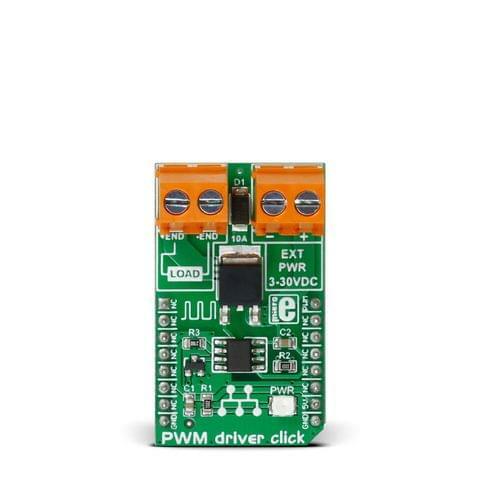 The sensor can work either in 12-bit or 16-bit mode, selectable by I2C command. 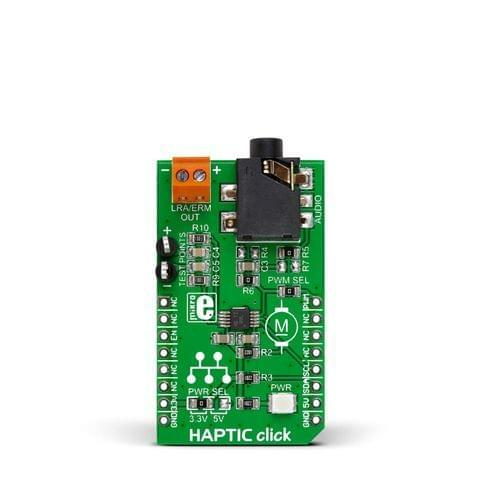 The click's range is up to 1.5m. 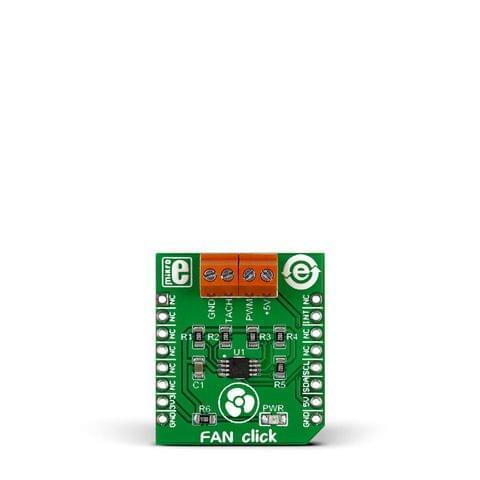 VCNL4200 input voltage is 3V3, while the separate 5V supply rail is used to supply power for the IR emitter pulses, generated by the small external P-channel MOSFET (Q1). 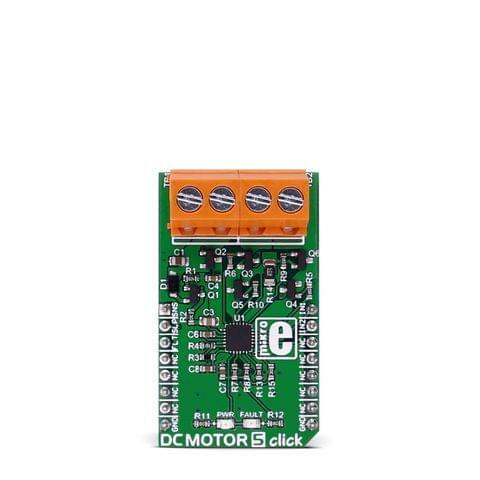 This way, the power dissipation of the IRED drive is displaced from the chip, and the high-current IRED drive pulses are isolated from the sensitive integrated circuit sections, connected to the 3V3 rail.